The missing Malaysia Airlines plane probably isn't where searchers have been looking all this time. NSA leaker Edward Snowden says he's a patriot. And Brad Pitt takes a hit at a movie premiere. Plan B: We don't know where Malaysia Airlines Flight 370 is, but we do know where it isn't. It's not in the 328 square miles of the south Indian Ocean the Bluefin-21 has been scanning the last several weeks. There's even some question about whether the four pinger noises heard in early April were from the plane. For now, search officials are regrouping and preparing to deploy more high-tech equipment. 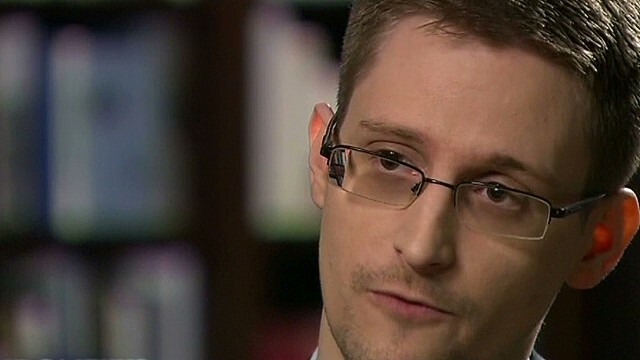 NSA leaker: Edward Snowden says he's a patriot. The U.S. government disagrees. Last night, the former National Security Agency contractor defended his decision to leak documents about classified surveillance programs during an interview with NBC "Nightly News." Snowden has been living in exile for nearly a year in Russia, where the government granted him temporary asylum after he fled the U.S. Investigating VA centers: The seat is getting very hot for the head of Veterans Affairs. A White House official says Eric Shinseki is on "thin ice." At least 1,700 military veterans waiting to see a doctor were never scheduled for an appointment and never placed on a wait list at the Veterans Affairs medical center in Phoenix. It raises the question of just how many veterans across the country had to do without medical care. Poet laureate: A literary voice revered globally for her poetic command and her commitment to civil rights has fallen silent. Maya Angelou died at her home in Winston-Salem, North Carolina, yesterday. Angelou had been "frail" and suffering from heart problems, her agent said. Star struck: A man known for harassing Hollywood stars stuck actor Brad Pitt in the face last night as he was signing autographs at a movie premiere, L.A. police said. Pitt was at the Hollywood premiere of "Maleficent," starring his partner Angelina Jolie, when a man hopped a barrier and attacked him. Vitalii Sediuk was arrested on suspicion of battery. –A fowl happening: Nothing to see here, just a turkey chasing a boy on a unicycle. - Bearly hanging on: A baby panda struggles to get the upper hand with bamboo. - When dogs fly: Whisper goes BASE jumping with his human friend Dean Potter. - GoPro video: Check out this POV from a giant paper airplane. - Whale of a shark: Look what some boaters found off the coast of Florida. RIP Maya Angelou. Your voice may be silent but your words will forever be heard.